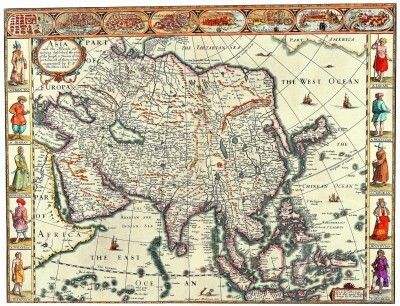 Striking example of Speed’s map of Asia, decorated with 10 costumed figures and 8 town plans of important early Asian cities (Candy, Goa, Damascus, Jerusalem, Orumus, Bantam, Aden and Macao). Korea is shown as a slender oddly projected Peninsula. The Great Wall of China is shown, along with and Elephant above the source of the Ganges. A nice simple/naïve Northeast passage is shown, along with a piece of North America and sea monsters in the extreme North Pacific and Southern Indian Sea. 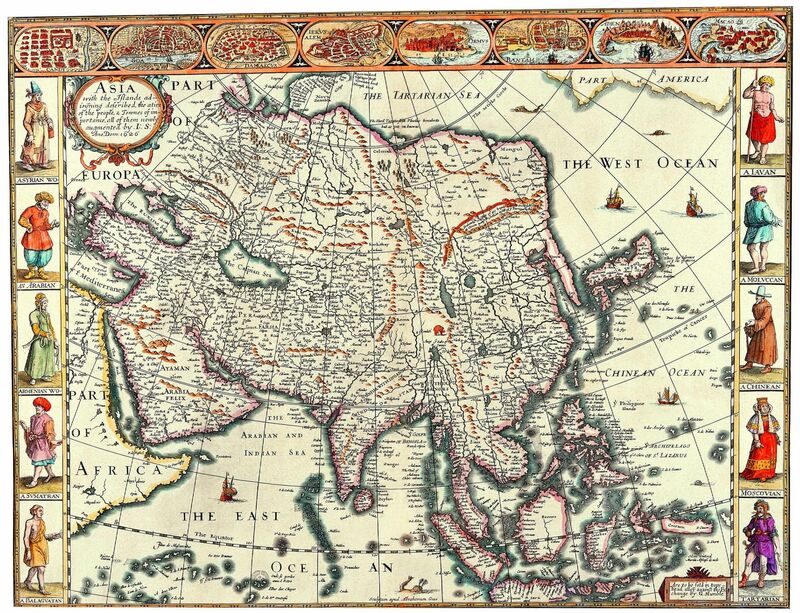 The text on the verso presents a fascinating Anglocentric view of Asia in the early 17th Century.